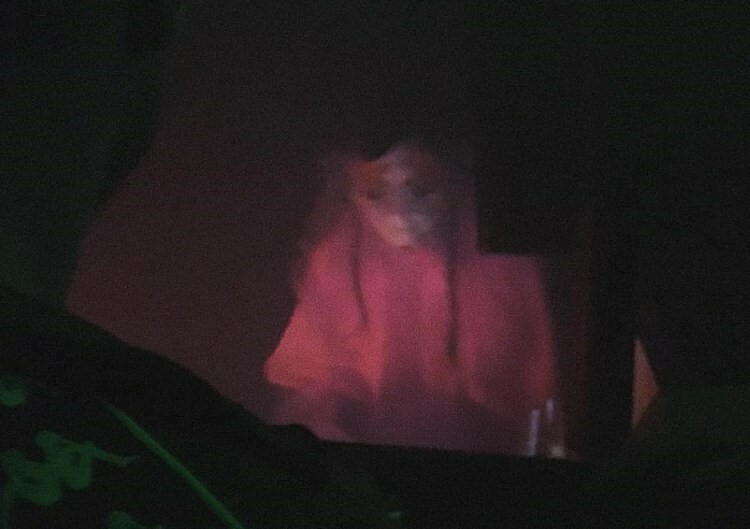 Shrouded in dry ice smoke and strobes, Björk played a DJ set at south-east London’s Corsica Studios last night (March 15) as part of Hyperdub’s monthly Ø clubnight. Situated beneath the railway arches behind Elephant & Castle’s perennially empty shopping centre, the independent Corsica Studios is an intimate, innovative creative space with an ever-changing cast of promoters and stage events curated by labels. Last night saw the Icelandic singer/genius taking to the decks, alongside past collaborators visual artist Jesse Kanda – whose Therianthropes installation project was housed in Room One – and Arca, with special guests Mica Levi and Shannen SP. The third in a series of events launched by the label in January (which opened with a five-hour set from Kode9 and featured an art installation from artist Lawrence Lek), the night also celebrated the recent release of Heart, Kanda’s debut EP for Hyperdub under the moniker Doon Kanda.